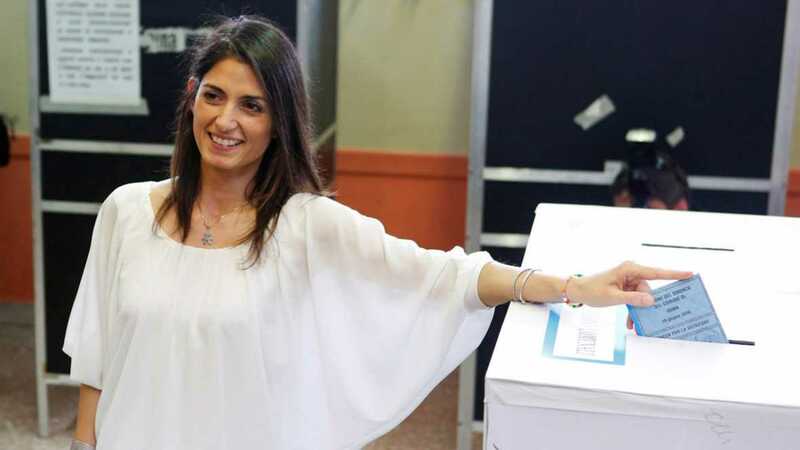 Italy’s anti-establishment 5-Star Movement (M5S) is in disarray following a disastrous start to its rule in Rome city hall, potentially denting its chances of winning power at a national level. The party triumphed in municipal elections in the Italian capital in June, trouncing Prime Minister Matteo Renzi’s ruling Democratic Party (PD) and presenting itself as a viable alternative to mainstream political forces across the country. Italian Prime Minister Matteo Renzi was trounced by the anti-establishment Five Star Movement in local elections in Rome and Turin on Sunday (19 June), clouding his chances of winning a do-or-die referendum in October. But the new Rome administration is mired in controversy, with the mayor, Virginia Raggi, admitting earlier this week that she had known for weeks that one of her cabinet was under investigation for alleged wrongdoing, despite previous staunch denials. M5S has built its popularity on denouncing the corruption that has dogged Italian politics for years and had overtaken Renzi in recent opinion polls. It hopes that success in Rome will help it win parliamentary elections that are set for 2018. Renzi said yesterday (6 September) that a crucial national referendum on his plan for constitutional reform ahead of national elections will be held on a Sunday between 15 November and 5 December. The Italian PM has repeatedly pushed back the date of the referendum. Early this year he said it would probably be held in early October. The reform, which has been approved by parliament, aims to reduce the role of the upper house Senate and rein in the powers of regional governments. Opinion polls suggest the outcome is currently too close to call. 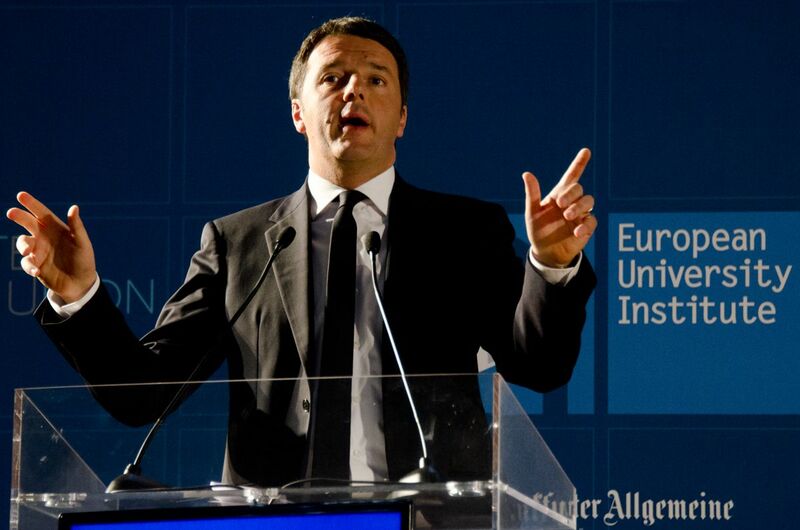 Renzi has repeatedly said he would resign as prime minister and quit politics if the reform is rejected in the referendum. He said in Tuesday’s interview that he had not changed his mind about this, but no longer wished to discuss his own future. So news that Raggi and her allies had hushed up the embarrassing legal probe dismayed supporters and delighted foes in equal measure. “We will remedy our mistakes with humility … because we cannot expect from others things that we do not deliver ourselves,” M5S Senator Nicola Morra wrote on his Facebook page. Italian newspapers denounced what they saw as rank hypocrisy. “Chaos in Rome,” said la Repubblica newspaper. “A failed revolution,” said Rome daily Il Messaggero. “Armageddon for Five Star,” said the Huffington Post’s Italian edition. Since her landslide victory, Raggi has struggled to make her mark. She took weeks to put together her team as party factions battled to impose their candidates for the top jobs and she drew criticism for offering big salaries to some of her staffers. Last week five city officials, including the head of finance, quit in a chain reaction after Italy’s anti-corruption agency said Raggi had not followed the correct bureaucratic procedures when she chose her chief of staff. Still struggling to overcome the walkout, Raggi triggered fresh angst when she appeared before a parliamentary commission on Monday alongside Paola Muraro, the person she had appointed to sort out Rome’s long-running rubbish collection problems. During the hearing, Muraro revealed that she had found out in July that she had been placed under investigation for alleged malpractice in her previous job as a highly paid consultant at the city’s AMA trash collection company. Raggi acknowledged she also knew of the magistrates’ probe. Muraro, who is not a member of M5S but was handpicked for the job by Raggi, denies any wrongdoing. What outraged M5S supporters was that she had previously denied any knowledge of being the target of a legal probe. “We have to admit our errors, ask forgiveness and dismiss those who have nothing to do with M5S, and will never have anything to do with it,” M5S lawmaker Roberta Lombard wrote on her Facebook page, demanding the immediate removal of Muraro. There was also discomfort in the ranks over Raggi’s choice for a new head of finance – retired magistrate Raffaele De Dominicis, who like Muraro is not a member of M5S. De Dominicis gained international prominence in 2014 when he opened an investigation into three ratings agencies for cutting Italy’s sovereign debt ratings in 2011 and 2012. He said at the time that the cuts might have cost Italy more than €117 billion.